Coleslaw is a Pennsylvania favorite, from the famous strip sandwiches of Pittsburgh to the Catholic churches' Friday fish fries of the rural northeast. 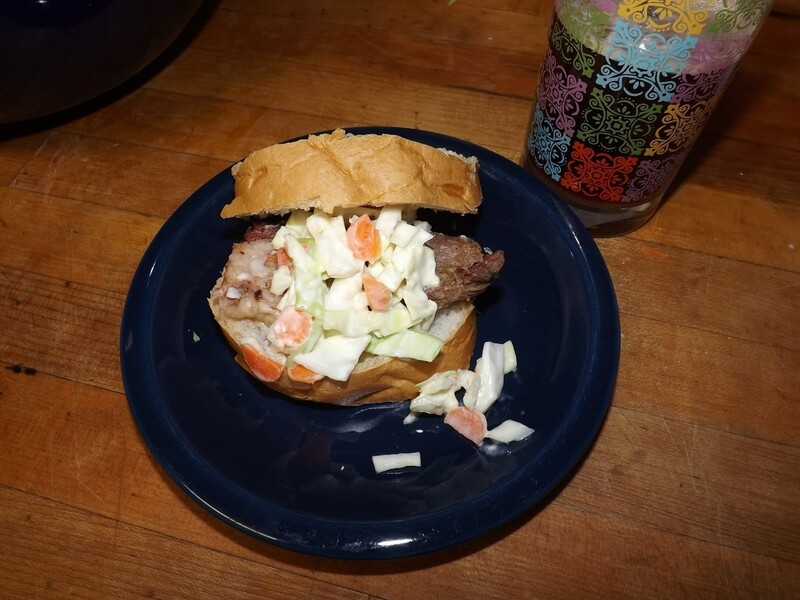 This particular recipe is a riff on a four generation old version created by my Pennsylvania Dutch great-grandmother and served in our family's little diner for over 50 years. 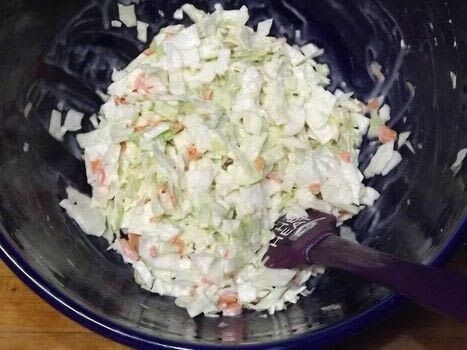 The original called for 3 heads of cabbage, an entire jar of mayonnaise, and made enough for about 150 people! This scaled down version yields 3 to 4 cups and about 8 servings. It's easy to double or triple for large events. 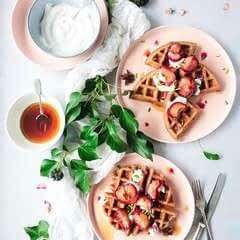 This recipe is sweet and creamy rather than vinegary and watery. This version contains no spices, and is easy to customize. 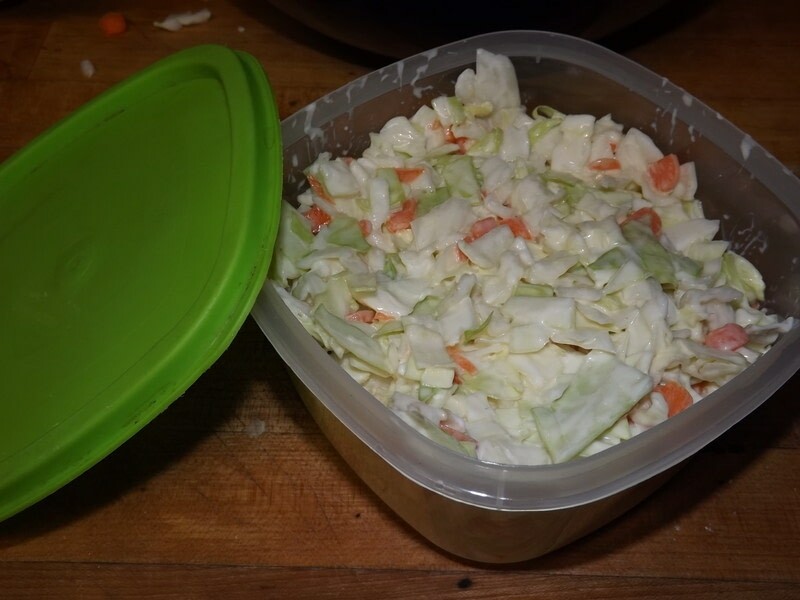 You can make it drier with less mayonnaise or less milk. If you aren't going to use all of it right away, I suggest leaving out the milk and using a little more mayonnaise. My grandfather liked to use buttermilk instead of plain milk, which gives it a little tartness without curdling. The buttermilk gives it a slightly shorter storage life. Store in the fridge in an air tight container for up to one week. Wash your veggies and pat them dry. 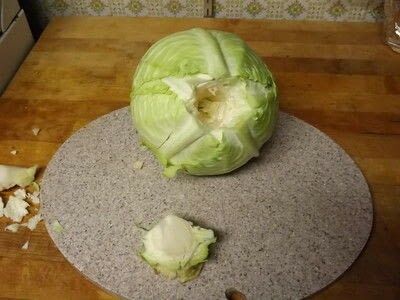 If using a fresh cabbage: Core your cabbage. This can be accomplished by using a knife to cut out the heart/steam, or (my grandfather's favorite method) by holding the top of the cabbage at about head height and whacking the stem side of the cabbage down on to a (sturdy) counter top. This forces the stem away from the leaves and it should just pop out with a twist. It sounds silly, but it works! Grate or finely shred the the cabbage. Grate or thinly slice the carrots. In the large mixing bowl , combine the cabbage, carrots, sugar, mayonnaise, and milk or buttermilk. Mix together until combined. 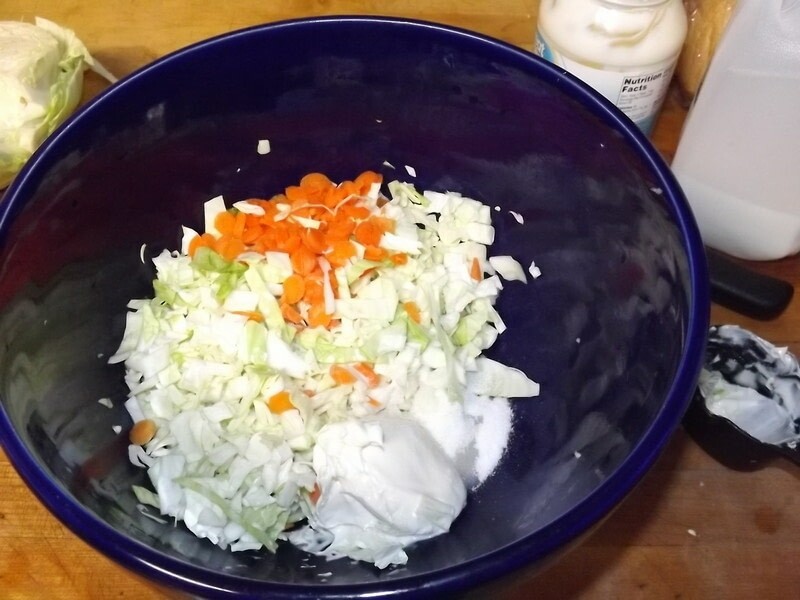 Add more mayo or milk for a wetter consistency or less for a drier consistency. Allow the mixture to rest for at least half an hour so that the flavors have a chance to meld. Season to taste with salt and pepper.